· Giant Days meets Check, Please, from the creator of Heavy Vinyl! · Welcome to the Georgia O'Keeffe College of Arts and Subtle Dramatics, an historically all-female school whose population is decidedly more drama geek than jock. · Liv, aspiring actor and basketball enthusiast, doesn't understand why she can't be both, but she seems alone in that belief... until Charlie. · Charlie is a recent transfer, a star basketball player, and the answer to all of Liv's problems. 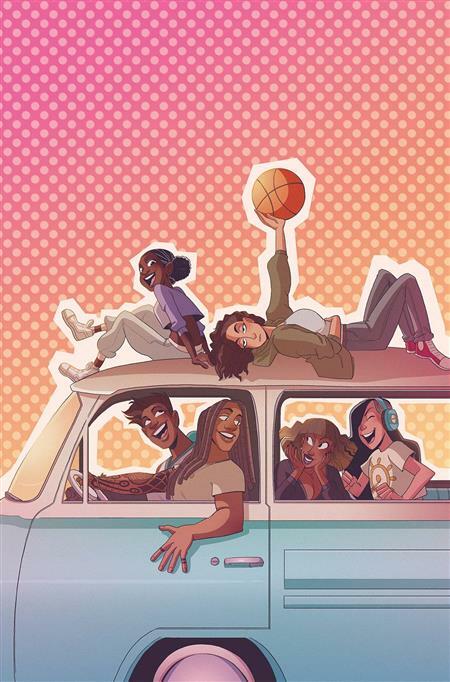 She'll stop at nothing to get Charlie to join the ragtag group of misfits that make up their fledgling basketball team. · Carly Usdin (Heavy Vinyl) and Noah Hayes (Goldie Vance) present a touching tale about finding what you'fre looking for... on and off the court.